Inspired by a Wold War II Mustang fighter plane, the Air Jordan 5 remains one of the most unique models in the Air Jordan line. 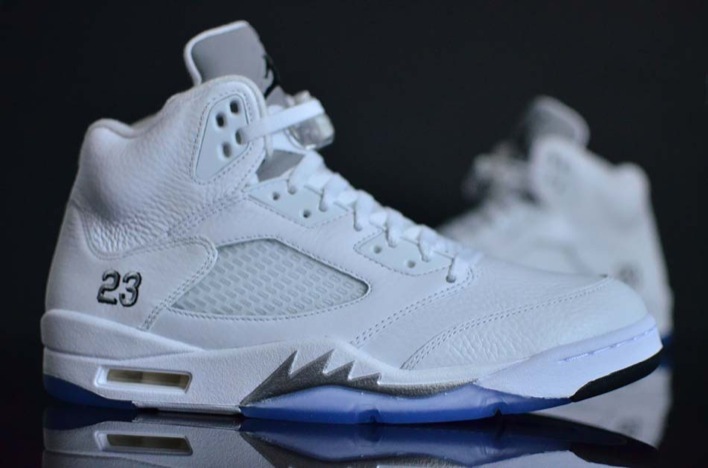 Returning this year, Jordan Brand presents the Air Jordan 5 White Metallic. 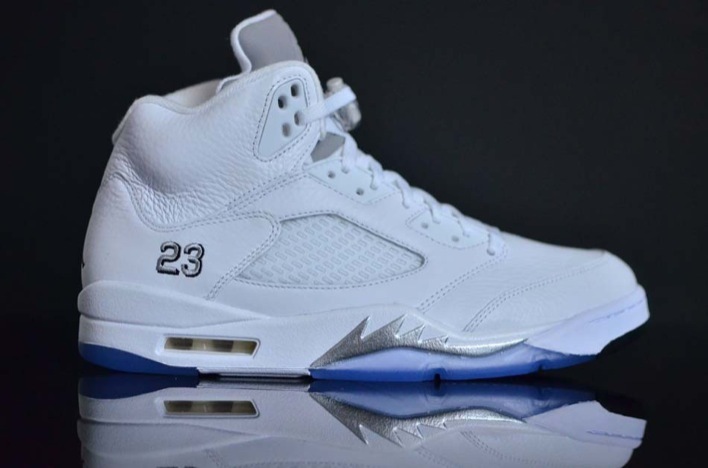 Retaining the metallic silver accents which are a mainstay with the Air Jordan 5, the model flips the original black nubuck upper for a white tumbled leather that resemble a retro version that dropped back in the year 2000. 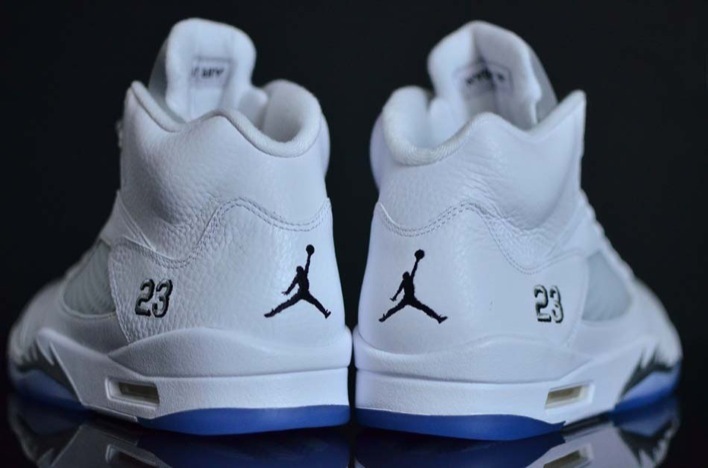 Complimenting the white upper, Jordan Brand has elected to keep the liner white as well which should help make this model a favorite for those white parties scheduled for the summer. 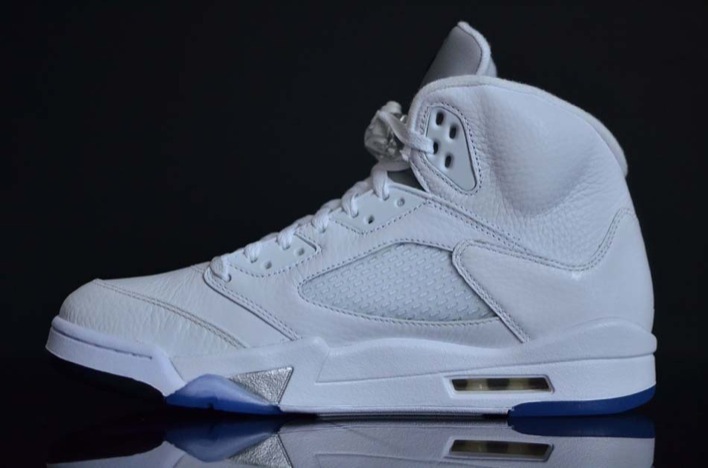 Final details include a translucent blue outsole and a touch of black at the toe. 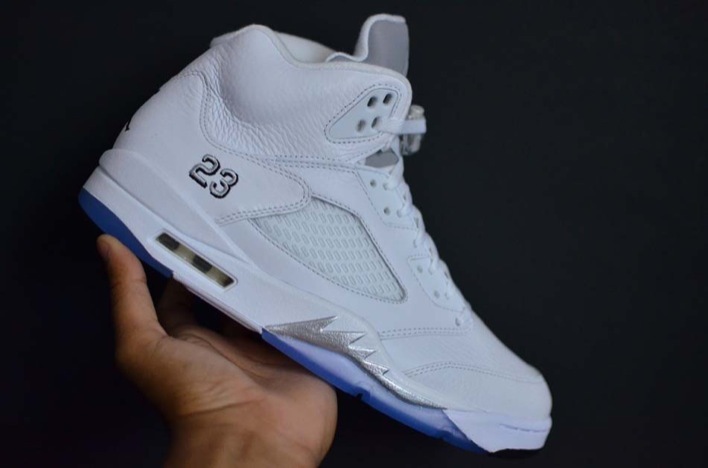 The Air Jordan 5 White Metallic will arrive at select retailers starting on April 4th for $190.